You are currently browsing the Bringing Jerry Zimmer Home blog archives for June, 2012. 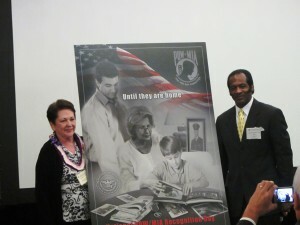 League Board Chairman Ann Mills Griffiths and DASD Que Winfield unveil the 2012 POW/MIA RECOGNITION DAY POSTER DURING THE ANNUAL LEAGUE MEETING IN WASHINGTON, D.C. 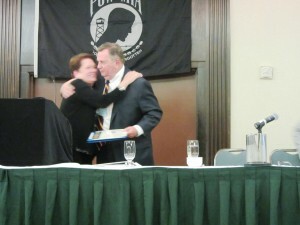 I JUST POSTED PHOTOS IN THE GALLERY OF THE 2012 ANNUAL LEAGUE MEETING IN D.C.